Description: With the power of its Gravitonic Core, Gravisaac is able to manipulate gravity to its will. It is said that this core was created by the Cosmic Architect to aide in the construction of the Solar System. Trivia: The various pieces of Gravisaac’s body are held together purely by the force of gravity exerted by its Gravitonic Core. The Pokémon registers as weighing absolutely nothing on a scale because of its effects on gravity, making it the only weightless Pokémon. Increases the duration of gravity-influencing moves indefinitely. The user attacks with a surge of gravity. It’s power is doubled if gravity has been influenced. The anime 20th Anniversary is only a week out, so I thought a cool way to celebrate would be to go through as many categories as I can think of and rank my favorite aspects of the anime. This will be a long post, so let’s get started. Island of the Giant Pokémon: I love this episode so much. The obvious reason is the sequence where we actually get to see (well, technically read) Pokémon talk for the first and only time. The likely reason that this happened was because it was still so early on in the series that the writers didn’t know if they could get away with just having a group of Pokémon with no humans to interpret what they’re saying. 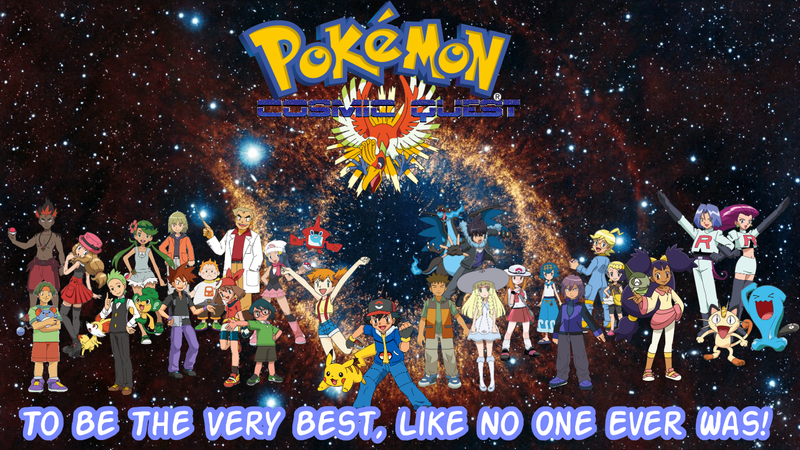 We all know from modern episodes that they were wrong, and that an episode with a group of Pokémon and no humans works just fine. That being said, it was still incredibly fun to have this one time to actually see what Pokémon are saying directly, instead of just having to figure it out based on context. This translation of the Pokémon’s words also gave us an analysis into the mindset of Pokémon like Ekans and Koffing who have evil masters, and yet don’t find themselves to be evil. The one other thing that I love about this episode was the “supernatural” aspect to it. Even if the giant Pokémon turned out to be just robots, we went the entire episode thinking they were real, creating one of the more unique scenarios in the entire series. I’m sure it’s obvious at this point, but the over-arching story of Professor Pine’s Astro Camp is the story of Ash and Elgyem. While the last episode focused more on Ash having to gain Elgyem’s trust, this episode was Ash gaining its friendship, and helping it to overcome its issues. Elgyem wasn’t timid simply because it was born that way, it went through a traumatic experience in its life, and this episode was all about exploring and paralleling that experience, which would eventually lead to Elgyem overcoming its fears. Another aspect of this episode was the subplot with Brenda and Michelle. For now I can say is that it is obvious that something is brewing. Now if you had the feeling that this episode felt incomplete as far as their story goes, you would be right, but remember, we’re in the middle of a multi-episode arc, so things aren’t quite done yet. As always, I like to make myself desktop backgrounds to commemorate special events, and as always, I’ll share it with you. This background depicts a scene containing all of the most influential characters from seven generations and 20 years of the show, all in one place for the first time. One important thing to note is that it contains your first look at the official character artwork for Brenda. This background has been added to the Bonus Content page. For instructions on how to get this background for yourself, as well as several others, see that page.